Mountain Power Hydraulics manufacturers custom hydraulic and pneumatic cylinders for mobile and industrial applications. A privately owned company located in Mountain Lake, Minnesota, all products are 100% manufactured in Minnesota and shipped both nationally and Internationally for various applications. Cylinders can be manufactured to match customer drawings, or designed using 30 years of hydraulic cylinder manufacturing knowledge and the latest in manufacturing optimization, material innovation, and application experience. Over the years Mountain Power Hydraulics has done work for a variety of different industries. We have a wide range of diverse applications and are dedicated to making the highest quality products for our always growing number of loyal customers. As a company we will expand and evolve around our customers' needs and wants. Connect with us using the no-obligation form below to begin a conversation about your custom needs. Mountain Power Hydraulics began operations in 1982 and has supported its growing customer base and cylinder application portfolio since. Having recently completed an additional 40,000 square foot facility expansion, all cylinder operations are now consolidated in Mountain Lake, Minnesota. Providing World-Class cylinders to OEM customers that are 100% manufactured and built in the U.S. the team at Mountain Power Hydraulics has an outstanding reputation for quality and delivery. 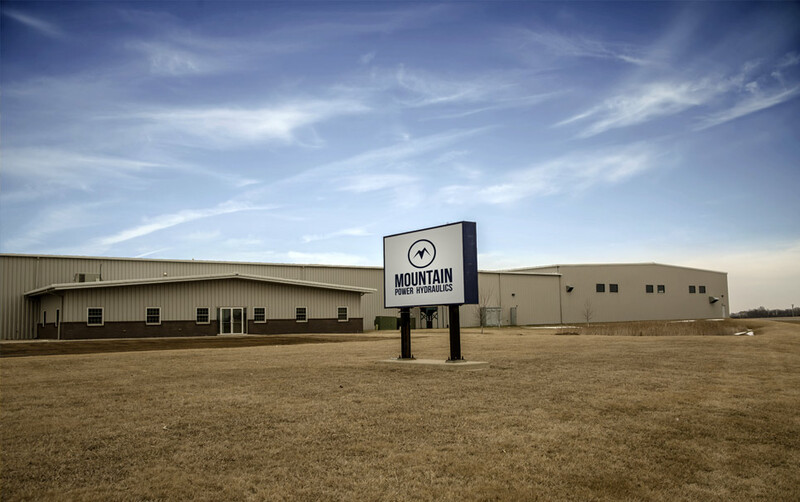 Mountain Power Hydraulics is a family owned business and together with sister company PAL's Machining in Owatonna, MN., the Mifek family have consistently reinvested in the latest manufacturing equipment, technology, and it's exceptional employees. Mountain Power Hydraulics employees are committed to delivering on their promises for both a quality product and on-time service.